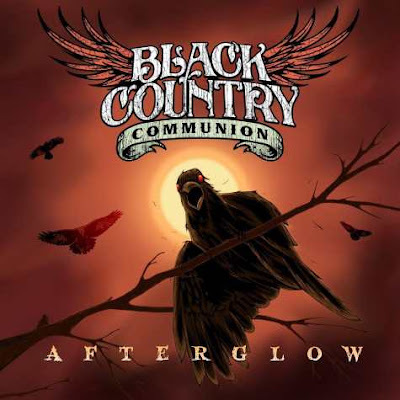 As Black Country Communion gear up for the October 30 release of their third album, “Afterglow,” bassist Glenn Hughes dropped a bombshell about the group's future during an interview last week with ABC News Radio. "This may be the [band's] last album," said Hughes. "I hate to break it to you, but it just may be, because I need to be in a band that tours on a regular basis." Black Country Communion - made up of bassist/vocalist Hughes (Deep Purple, Trapeze, Black Sabbath), blues rock guitarist/vocalist Joe Bonamassa, drummer Jason Bonham (Led Zeppelin), and keyboardist Derek Sherinian (Dream Theater) – have faced the challenge of building a global identity and following due to the busy schedules of its players, especially Bonamassa's heavy solo touring commitments, explained Hughes. "If I had a magic wand, I would wave it over everybody's head and go, 'Hey, you guys, we're gonna go and do 200 shows [in 2013] and we're gonna be a huge rock 'n' roll band globally," said Hughes. "It's not gonna happen." Hughes said the group's predicament helped inspire him to create, what he believes, are some memorable tunes for the new record. "I figured that if this was to be the last album…then I need to come in with some pretty wild and epic tracks," said the bassist. "So, I'm really proud of this album."